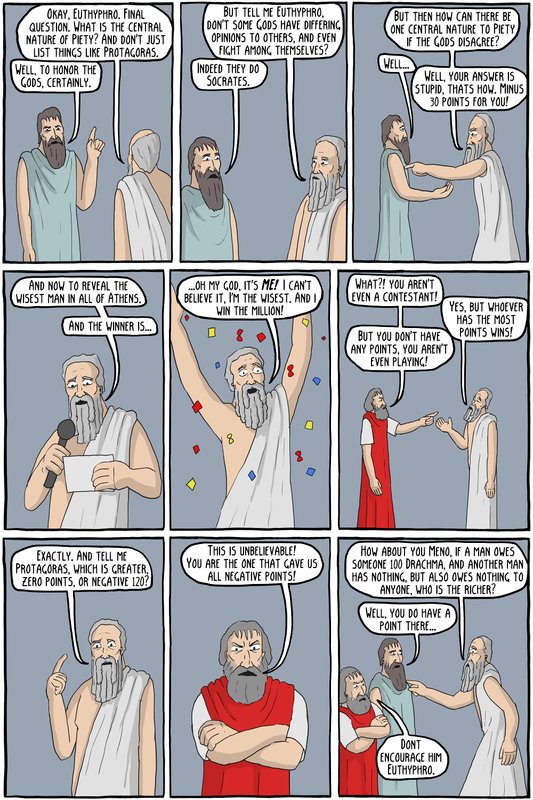 "But Socrates, what will you do with the million?" "I'll tell you what I'll do, two Athenian boy lovers...AT THE SAME TIME!" In what is sort of the founding myth of Western Philosophy, the Oracle of Delphi told Socrates that he was the wisest man in Athens. 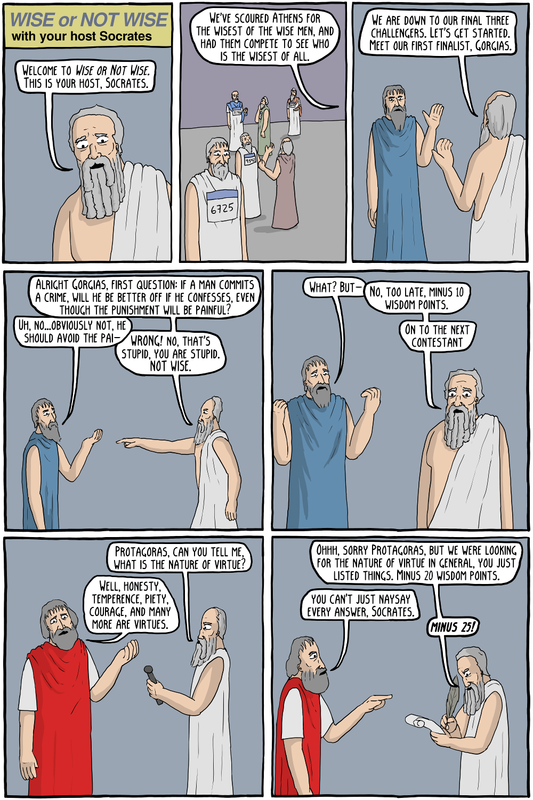 Socrates couldn't believe it, so he interrogated all the wise men of Athens on various subjects, such as the nature of virtue, piety, justice, etc. He found that none of them really knew what they were talking about, although they all believed that they did. He then concluded that he was indeed the wisest man in Athens, because although like them he didn't know anything, he at least "knew that he knew not".